One couple I think might be cute is Spike and Winona. However, just you don't get confused, I mean Spike the Dragon, not Spike the Dog. Who of you thinks as well that Spike the Dragon and Winona would make an interesting couple? So this guy, Wintergatan, made a very special musical instrument that uses marbles. If you like, you can watch this special video on YouTube. 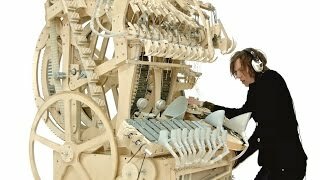 It's called "Wintergatan - Marble Machine (music instrument using 2000 marbles)"
All rights for this video go to Wintergatan and those who helped to make this video, especially the Marble Machine, possible. PS: Whoever likes to leave a comment, go ahead.